It is time to play catch up. I have been meaning to post photos from B's 2nd birthday since the end of March, but it just keeps getting pushed to the back burner. 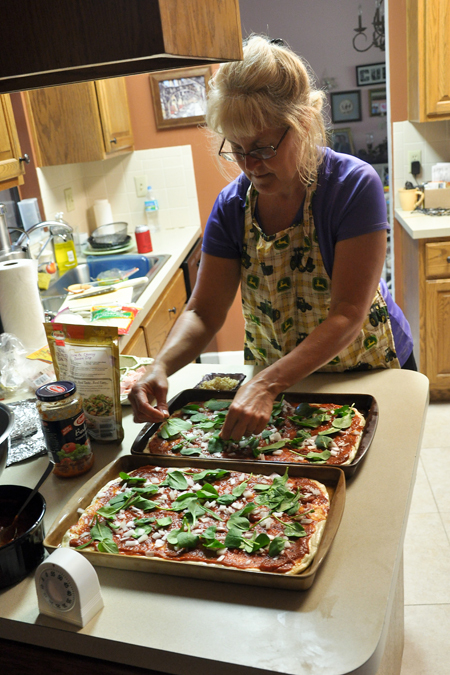 We decided not to have a large party. 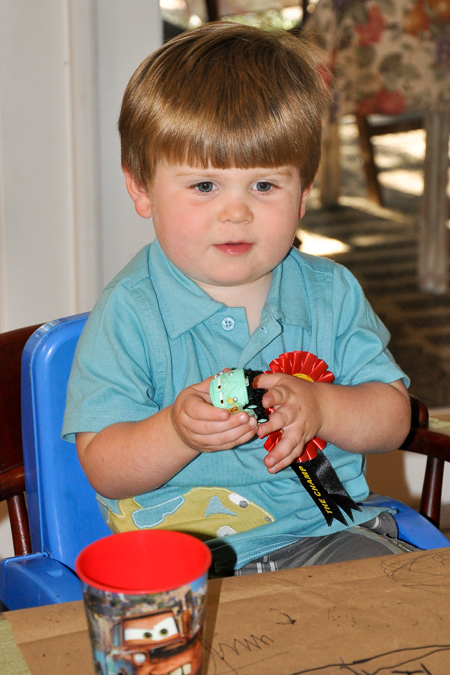 However, my mother-in-law always hosts a thoughtful, lovely, family celebration for each of her grandchildren. It is really nice, as it is stress-free (for me anyways) and the kids are always very comfortable since they are used to being around one another. 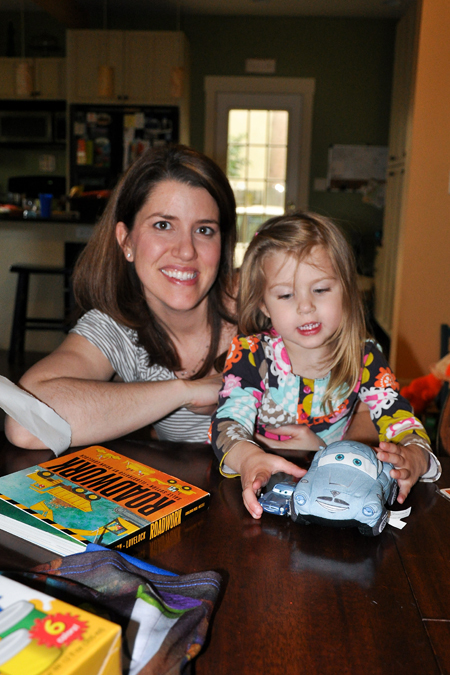 Bennett enjoys cars and has taken a particular interest in the characters from the movie "Cars". 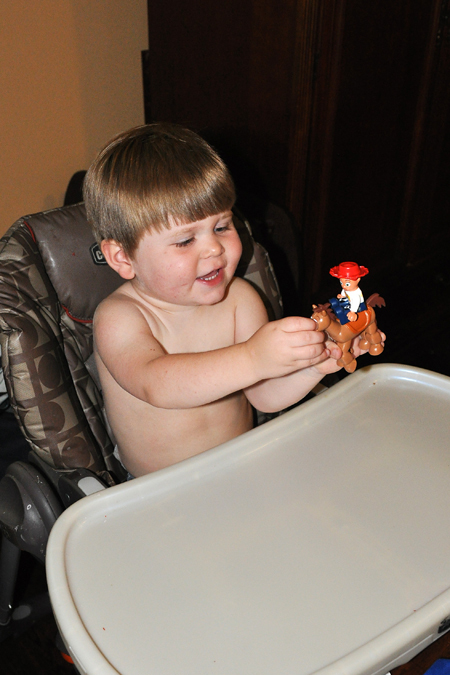 He has seen a few clips from the movie, but primarily got to know the characters from a sticker activity book he has. 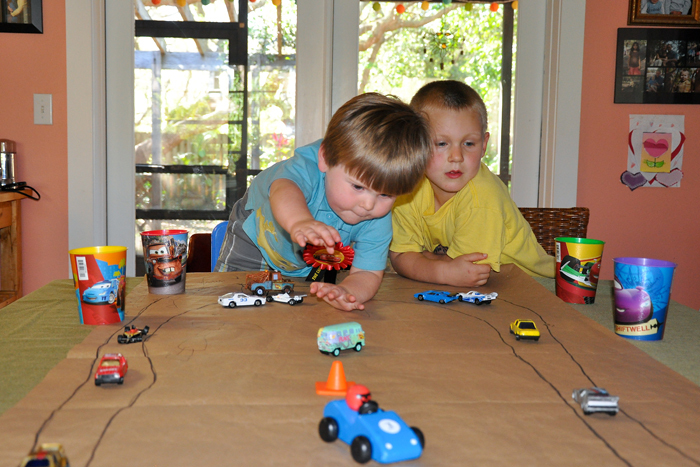 Prior to his birthday, he had one "Car" character and a few matchbox cars, but now he has several and plays with them every day. 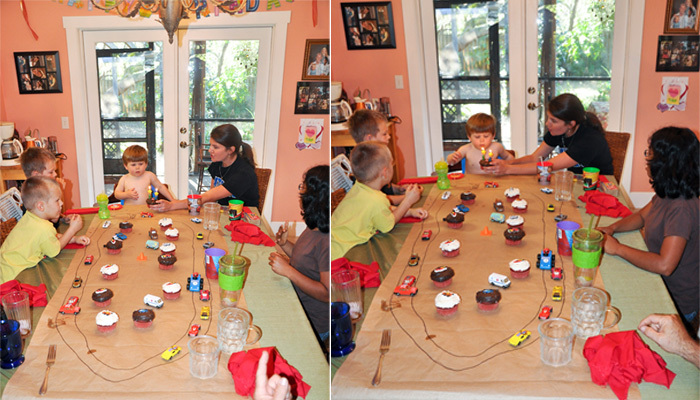 The theme was obviously cars. 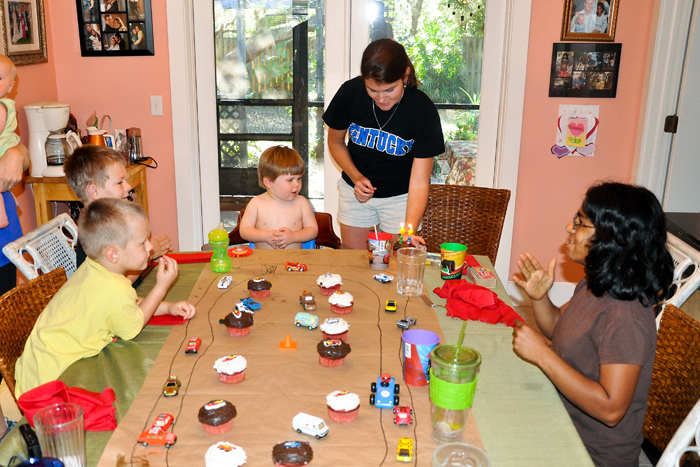 Grandma made our table a race track, bought the kids "Cars" cups, made homemade pizza and cupcakes. 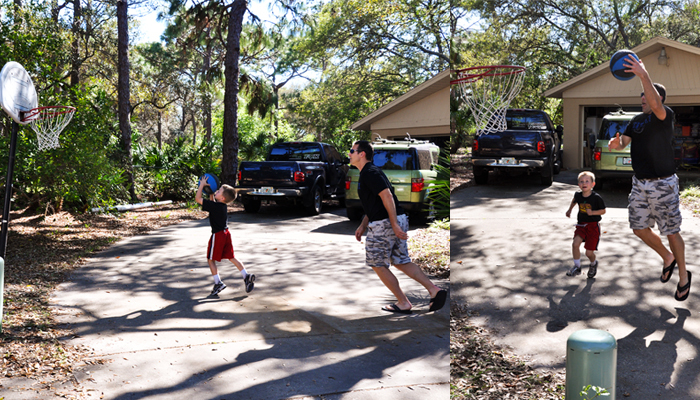 But while the pizza's were baking we were able to get in some outdoor play time. 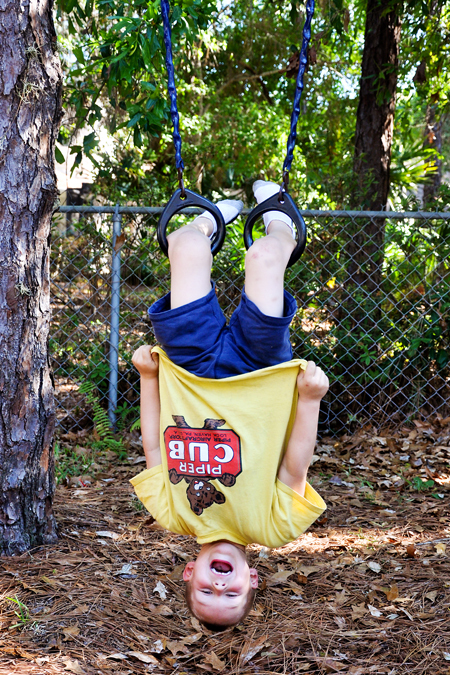 My nephew Eli is quite the acrobat. 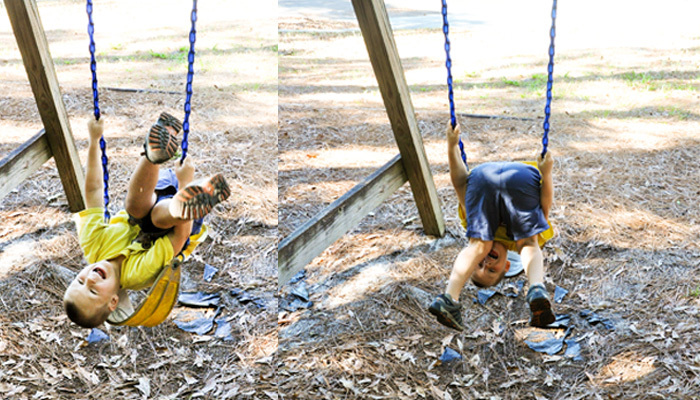 This was the day before he broke his leg after falling from a tree. Don't worry, he is already out of his cast and walking around. 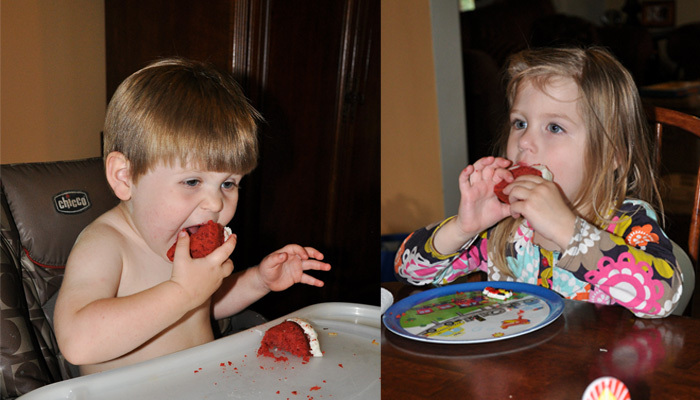 After dinner, we sang (and signed) Happy Birthday before enjoying the festive cupcakes. 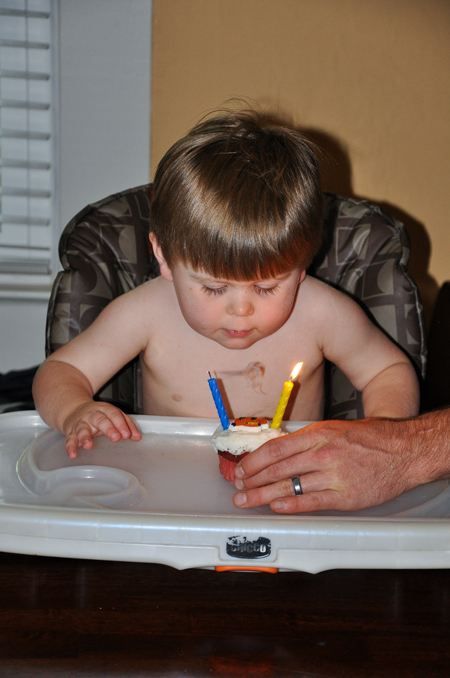 B did an excellent job blowing out his candles. 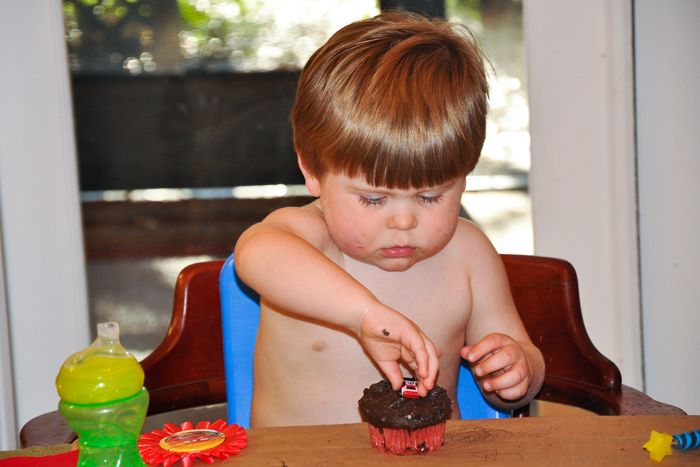 Just in case you were wondering B LOVES cupcakes! 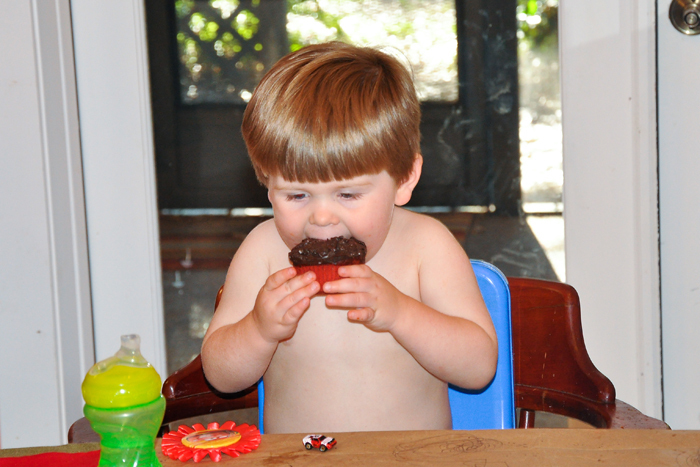 He is a lot like his momma preferring cupcakes and brownies over ice cream. 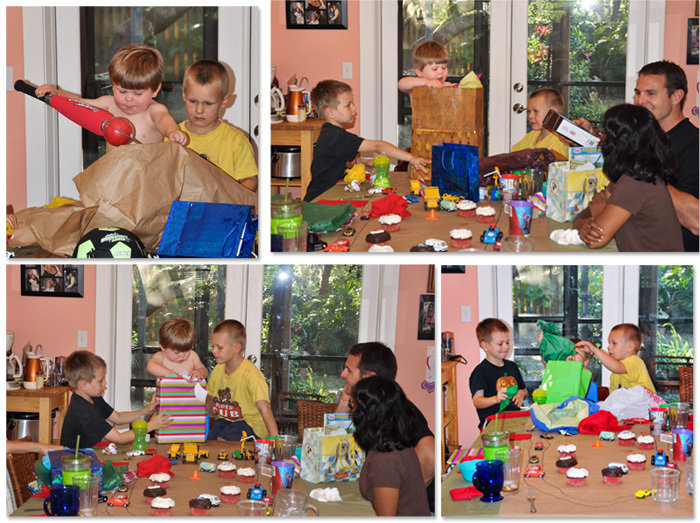 After dessert, B opened presents from his grandparents and cousins. 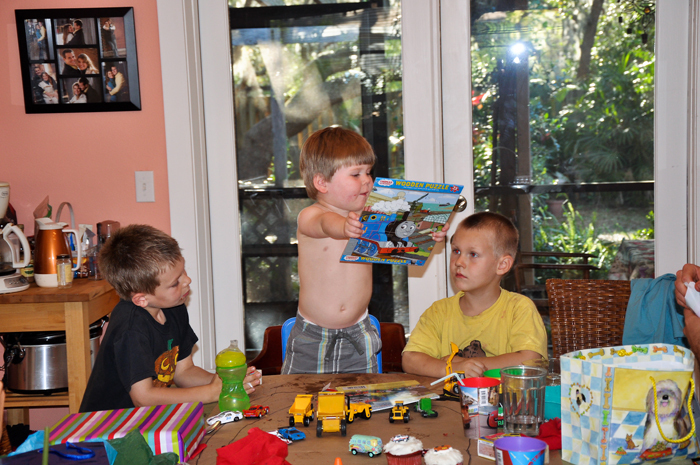 He was blessed to receive several cars, construction vehicles, sporting goods, puzzles, and plastic animals. It was simply a wonderful celebration with our family. We celebrated the weekend prior to his actual birth date, because we were hosting some dear out of town friends on his actual birthday. B and I picked Amanda and Emmy M (as B calls her) at the airport on Wednesday, which was his actual birth date. 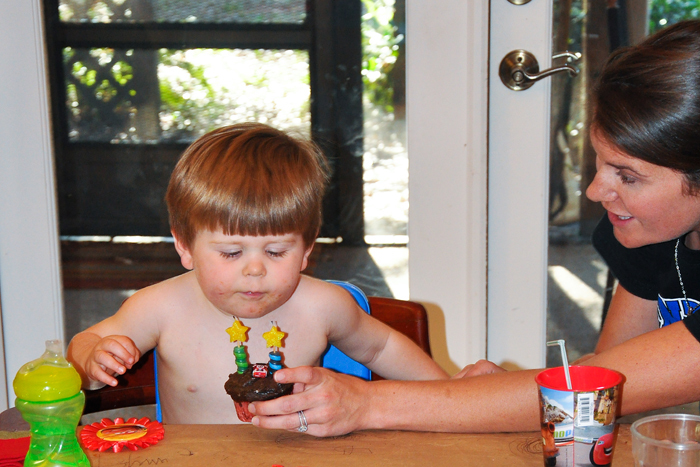 That evening we were able to eat more cupcakes (left over from Grandma and Grandpa's), sing Happy Birthday, and open a few more gifts. 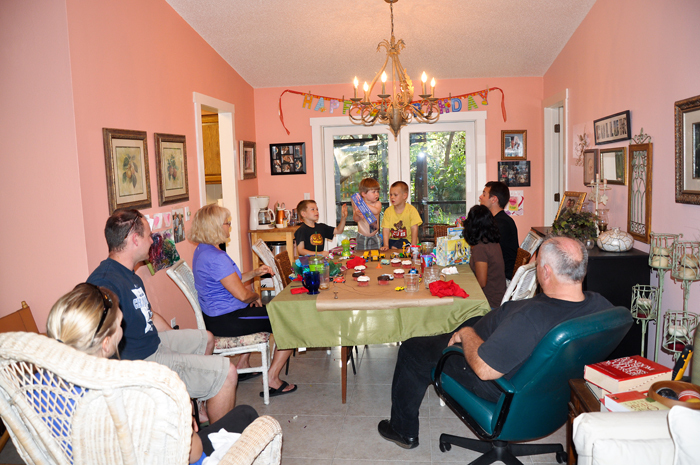 It was a rare treat to celebrate B's birthday with some of our dear long distance friends. 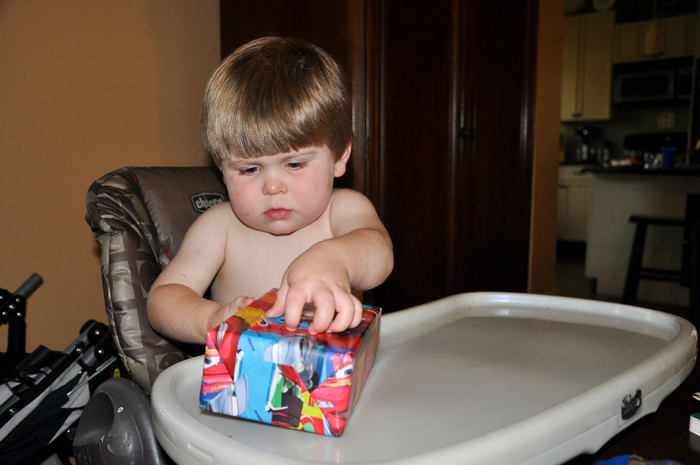 Amanda and Emmy M blessed B with gifts that he continues to enjoy. Thanks so much for celebrating with us!! 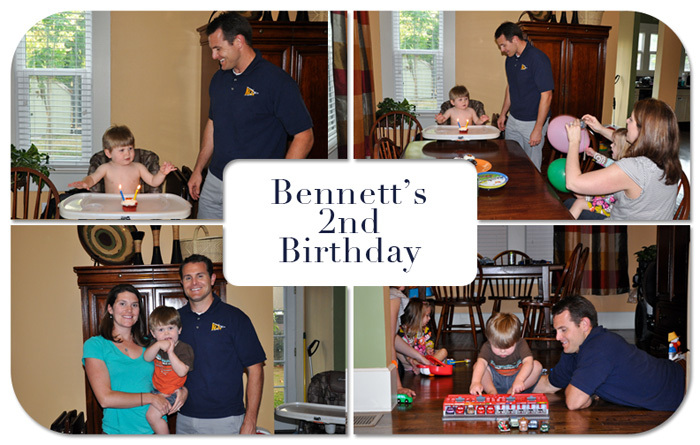 Looks like the perfect birthday celebration to me :) It is hard to believe Bennett is 2! !